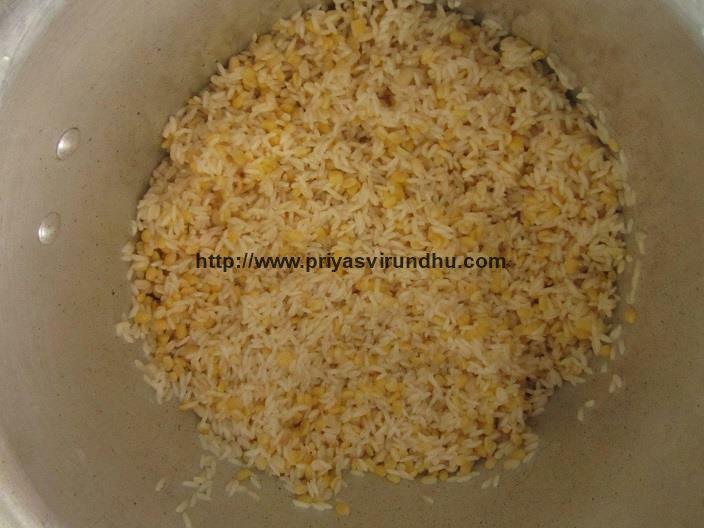 Wash rice and dal together for at least three times and drain the water. Add the washed rice & dal to pressure cooker. 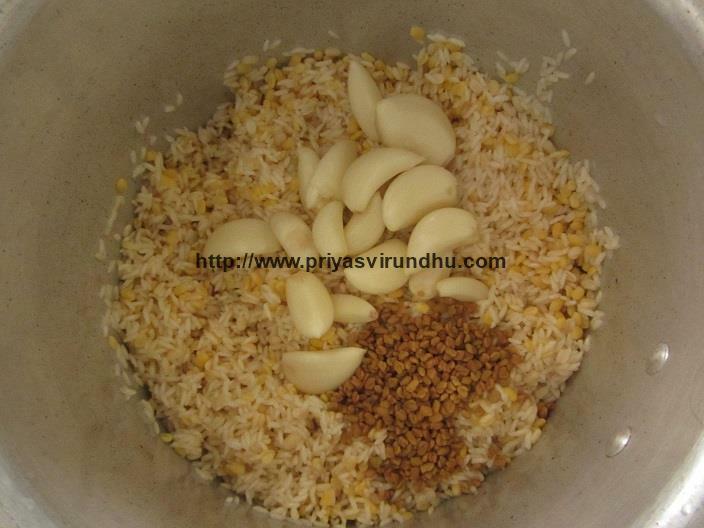 Add fenugreek seeds/vendhayam, garlic cloves/poondu, salt to the washed rice & dal. 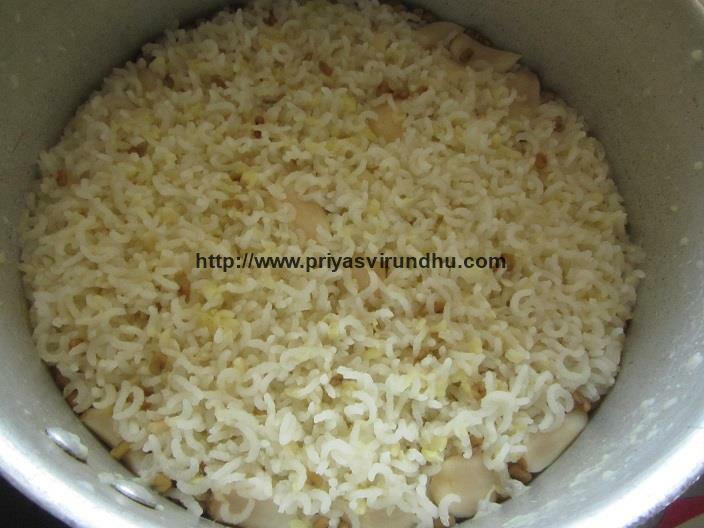 Add 2 cups of water and pressure cook for 3-4 whistles and switch off the stove. Meanwhile grate the coconut and keep it aside. 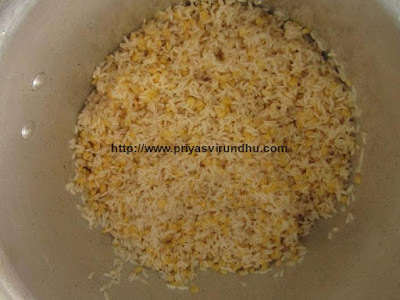 After the steam releases open the pressure cooker. Mash the kanji with a mathu/masher. 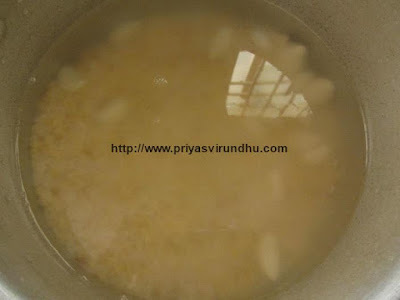 Add enough water and mix thoroughly, the consistency should not be too thick not too thin. Now add the grated coconut and mix thoroughly. 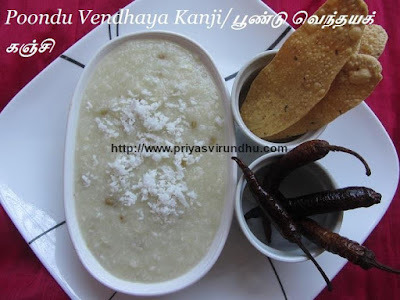 Yes, simple, elegant, tasty and stomach friendly Poondu Vendhaya Kanji is ready to be enjoyed. This kanji is good all by itself, if needed you can serve it with any pickle of your choice or with more milagai and appalam. 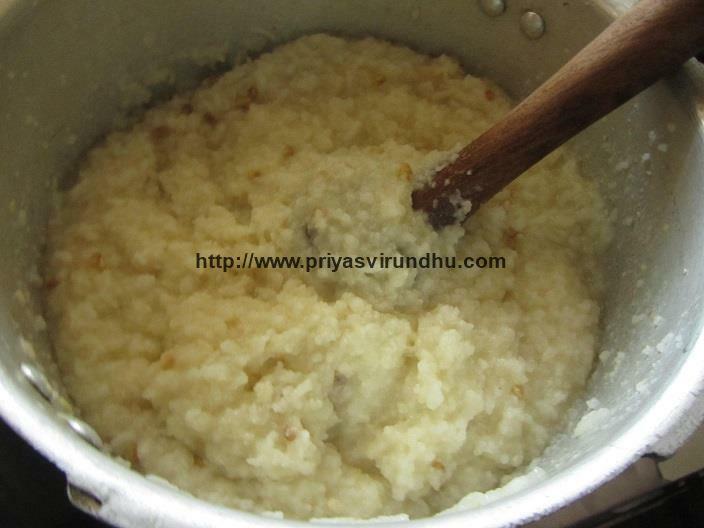 My mom usually adds only grated coconut, but you can extract coconut milk and add the same. I have cooked the kanji in pressure cooker, but you can cook the kanji in open pot, just add enough water and cook the kanji until it is well done. 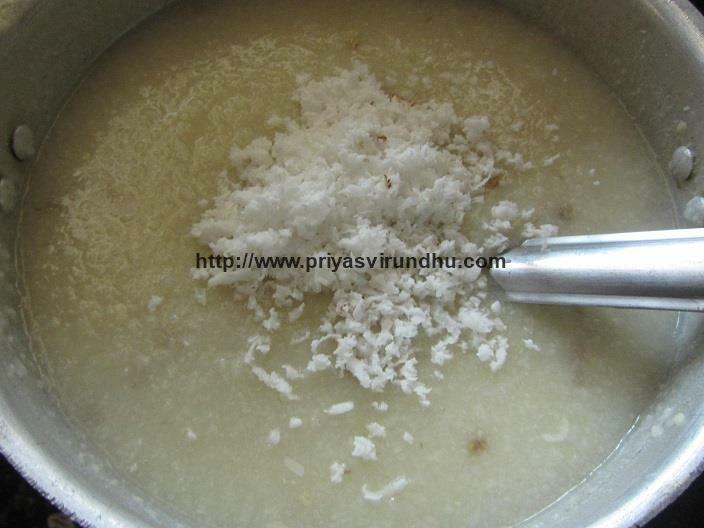 If you are serving this kanji during fever you can skip the grated coconut. 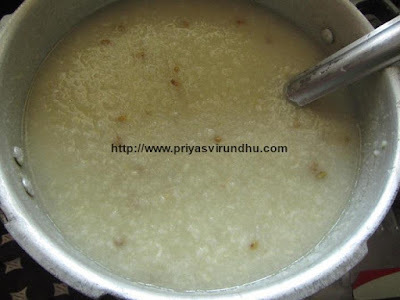 Thank you all for visiting my space, please come back again for more healthy and elegant recipes from my kitchen.